Question: What is the purpose of creation? Is there a purpose at all? Are there any answers in Hinduism to these questions? Hinduism acknowledges the enigma of creation, but provides speculative answers to explain how God might have manifested creation. Some schools of Hinduism, do not acknowledge any Creator God or his role in creation. According to them creation manifests from Nature as a hidden program or design. For example, the Purva Mimansa compares it to a sacrifice. The Samkhya school views it as a play of Nature, which automatically manifests things when ideal conditions exist. Thus, in Hinduism, you do not always get a clear answer or only one answer to any theological or metaphysical question about transcendental realities. Most of the time, the answer depends upon who asks it and who delivers it, and in what state of consciousness the dialogue takes place. The answer also depends upon how you view the relationship between God and his creation, and whether God and his creation are the same or different. Further, you have to see whether there are eternal and indestructible realities (tattvas) other than God who also participate in it. In the totality of existence, all possibilities exist. In the infinite reality, there will be infinite possibilities. Hence, to answer the question, and thereby define the indefinable reality of God, you have to define the context and add a perspective. The genuine answer to this question is silence. It is what many seers and enlightened yogis and Buddhas do. There are surely people who understand what that silence means, and they will ask no more. However, for the sake of intellect which wants to conceptualize everything you have to provide a reasonable answer which can, in some respects, reflect the truth. One of the commonly found answers to your question is that creation exists for the enjoyment of God. In Hinduism, God is considered the ultimate enjoyer (bhokta). He is the eater of all. The whole world is his food. Hence, he is also described as Death (Kala) the devourer of all. We cannot accept this argument that God enjoys his creation, unless we agree that God is a Being with a distinct personality and identity of his own and has a distinct relationship with his creation in a state of duality. In the body, the Self is considered the enjoyer. The same is the purpose of life. You may enjoy your life as the eternal Self so that you will not be touched by your actions. If you enjoy otherwise, you will remain bound. In Hinduism, we call the highest God Brahman. 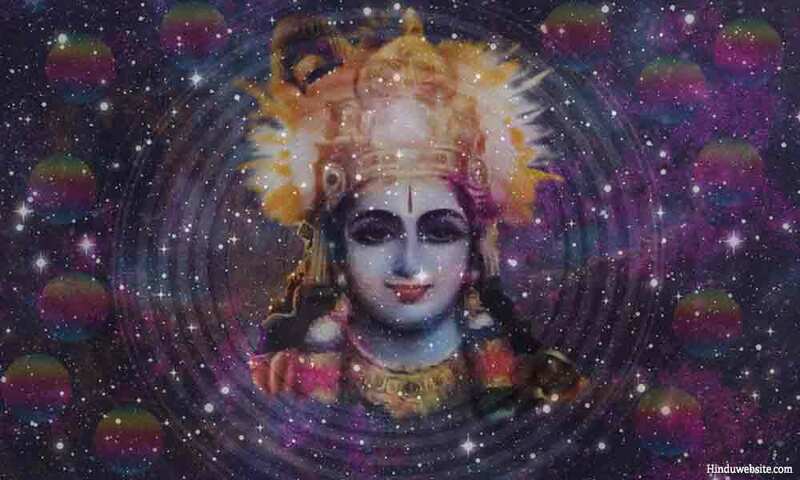 The scriptures call him Isvara, the Lord, or Purusha, the Cosmic Person. He has two other aspects, Hiranyagarbha, the golden soul (the holy ghost), and Viraj, the material universe. All these three are considered aspects of Saguna Brahman, or Brahman with qualities, in contrast to Nirguna Brahman, the unknown, unmanifested Brahman, or Brahman without qualities. The Upanishads also recognize three distinct realities, the Supreme Self (Isvara), the Self (cit), and Nature (acit). The three are considered eternal realities. Isvara is the lord and creator of the universe and its true owner and inhabitant. The Self (atman or the soul) is eternal, indivisible, and indestructible. Isvara is one, but the souls are numerous. Nature (Prakriti) is the field of creation. She is subject to modifications and responsible for diversity. In your case, you are the soul (atma), your mind and body are Nature. And the one who watches over you is the Supreme Self (paramatma). To understand the purpose of creation, we have to examine whether Brahman and his creation are the same or different. The relationship between Brahman and his creation is the same as the relationship between you and your body. In Hinduism, we find three possibilities by which creation manifests from Brahman. They are, by transformation, by projection, by reflection or super imposition. According to the first, a part of God transforms into creation. According to the second, the worlds emerge out of God as a projection like a film which is projected on a screen or like the rays of the Sun that spread out. The third theory proposes that creation manifests like a superimposition, just as the sun is superimposed upon the waters of a lake or an ocean. Depending upon how you interpret the relationship between Brahman and creation, the nature of existential realities and the process of creation, we have three distinct schools of Vedanta namely Advaita, Vishishtadvaita and Dvaita. They mainly differ with regard to the number of existential realities, whether Brahman is one or many, and how creation emerges out of Brahman. Each school has a long history, its own literature and following. According to Advaita, God is one. The other two (souls and Nature) are his projections and part of an illusion. Brahman is both the creator and the created, the subject and the object. The distinction between them is purely temporary. When one wakes up in the consciousness of the Self, all distinctions and dualities disappear, just as the pot becomes clay when it is dissolved or the waves subside into the ocean when they fall. According to Vishishtadvaita, God, souls and Nature are somewhat distinct and have their own separate existence, just as you and your reflection in a mirror appear to be temporarily different. At the end of each cycle of creation, he withdraws them into himself and manifests them again in the next time cycle. According to Dvaita, the third school, God, souls and Nature have their own independent existence. They are eternal and eternally distinct. There are further divisions and distinctions with in each of them, and they too are real and eternal. Souls will have their own distinction even after their liberation. Thus, duality exists as an essential reality, not as an illusion or projection, from the highest to the lowest. The last two schools hold that God is an independent entity, while souls and Nature are dependent. Just as there is a distinction between God and souls, there can be distinctions among souls also. Some are eternally free, some bound, some liberated, and some eternally bound. If God is the soul of the universe, individual souls, beings, and worlds are his cosmic body. From the perspective of Vishishtadvaita (qualified dualism) and Dvaita (dualism), we may accept that the purpose of creation is enjoyment. God creates the worlds and beings for his enjoyment (lila). He enjoys by witnessing the drama of creation as it unfolds before him. The situation is somewhat similar to the act of daydreaming or creative visualization, where you intentionally direct your thoughts and imagination to create a mental drama with you as the witness and the enjoyer. At the end of each cycle of creation, he destroys the worlds and goes into deep sleep. Both Nature and souls survive the destruction, since they are eternal and indestructible. However, since they are dependent realities both of them also go into a sleeping or resting mode along with Brahman. Until he wakes up and returns to his active duty, the whole existence remains suspended, undifferentiated and indeterminate. However, if you accept the essential reality of existence according to the school of Advaita (nondualism), you may not feel convinced that God creates anything for any reason, purpose or intention. The three namely reason, purpose and intention imply the duality of subject and object and an explicit or implicit motive. They also denote incompleteness, dependence, and imperfection because you seek things when you lack something, need something or depend upon something. Advaita does not see such possibilities. Advaita considers all notions of duality illusory and unreal. It views God as one, without parts, complete, perfect, and totally independent. The duality of subject and object is also absent in him. Hence, he is free from delusion (maya) of duality, modes (gunas), divisions, desires and attachments. There is no sense of otherness in him. He is also not bound to any specific purpose, agenda, or intention. Therefore, if any worlds manifest out of him, it is just the way a flower blooms or the wind blows. For Advaita, creation is just a happening without specific motive or purpose. If there is one, it must be inherent to the supreme reality. God must be enabling it without any particular aim, purpose, or reason. Like the waves that rise and fall into the ocean, the worlds and universes must be appearing and disappearing in his consciousness without any reason. There may be rhyme or order to it because rytha (order and regularity) is part of his natural perfection, Hence, creation may happen at regular intervals in a cyclical fashion according to the natural beat of Time that is inherent to him, not because he intentionally sets up an alarm and exercises his will to start or end each cycle of creation, or to wake up or to go to sleep. If this world is a dream of God, as the Advaita school declares, then there can be no specific reason for existence or for creation. It must be happening on its own without any specific motive or intention. It is just like your dreams. Who can purposefully dream any dreams or end them? Dreams just happen. There is no purpose and no written script. They arise and subside like waves in your consciousness. Similarly, these worlds, universes and life forms must be spontaneously arising and disappearing in the consciousness of God forever without any preordained script. While we may speculate upon the purpose of creation from different perspective, we may perhaps never fathom the real answer. It is one of the riddles of the universe. No one can answer the why of existence. No one can tell you why the universe exists, what purpose it serves and why it is created. You also cannot answer why and for what ultimate purpose you exist. You may speculate upon it, theorize it and ponder about it, but you cannot be sure. You do not know why you are born, or why in the order of things the sun is set to rise in the east and the earth has only five continents. Whatever predictions astrologers make about the world or people are based on the regularity or the pattern (rytha), not certainty. It is because no one, including God himself, knows the script. It is like a writer or an artist beginning his or her creation with a free mind, without any specific plot, theme, or aim in mind. The Nasadiya Sukta from the Rigveda (10.129) expresses this difficulty in the following verse that no one knows the why of creation. No one knows why the worlds come into existence, and whether he, the Brahman, also has any knowledge of it.